Everything on Okinawa Island from A to Z | The first Okinawa Churaumi Aquarium theme shop is open! 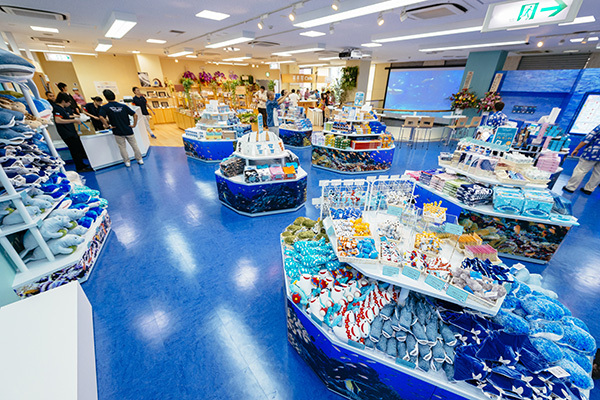 The first Okinawa Churaumi Aquarium theme shop is open! 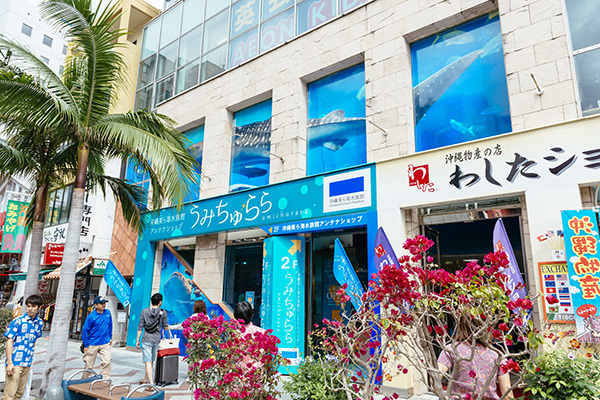 Umi Churara, the first shop devoted exclusively to Okinawa Churaumi Aquarium outside the facility itself, opened its doors in April of this year. Housed on the second floor of the Washita Shop in Naha City, Umi Churara offers fun displays and retail outlets designed to give a taste of what Okinawa Churaumi Aquarium is like. 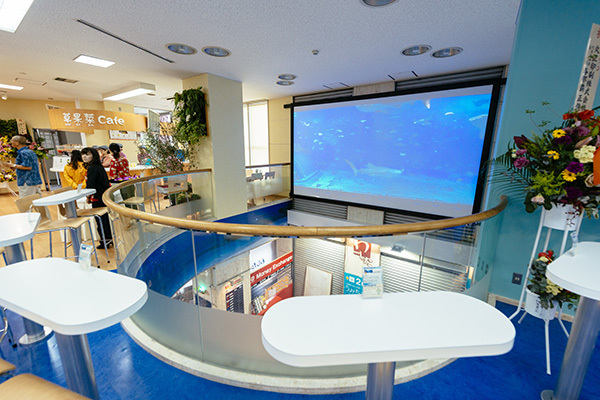 The center hosts a large, 200-inch screen called Churaumi Panorama that features the dynamic marine life in the aquarium such as huge whale sharks. Visitors can also experience smaller scale displays, referred to as “Mini Aqua,” showcasing popular marine life such as the common clownfish and the spotted garden eel. 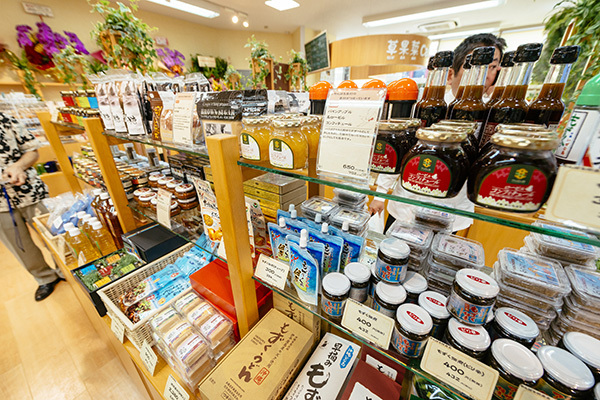 The shops sell souvenirs and aquarium-related goods to take back home or buy as presents. Churashima Farm Fruit Café also serves delicious Okinawan sweets, smoothies and soft serves made from native fruits and vegetables. In Yan Bazaar one can find rare items for sale as well as information about the Yanbaru region, the north of Okinawa, including Motobu Town, where the aquarium is located. Umi Churara is a fun place to visit and get a good idea of what Okinawa Churaumi Aquarium is all about. It also offers helpful information for those interested in sightseeing activities in the Yanbaru region.